“X-Men” star Nicholas Hoult is in talks to join Benedict Cumberbatch and Michael Shannon in the Weinstein Company’s drama “The Current War,” an individual familiar with the project has told TheWrap exclusively. He would play inventor Nikola Tesla, while Cumberbatch will play Thomas Edison and Shannon will play George Westinghouse. Alfonso Gomez-Rejon (“Me and Earl and the Dying Girl”) will direct, and recently met with Hoult in London to discuss the project, a second person familiar with the project told TheWrap. Weinstein executives have been a fan of Hoult’s since Tom Ford‘s directing debut, “A Single Man,” and are looking for other projects to feature him, the insider added. Michael Mitnick wrote the script, which was voted to the 2011 Black List of Hollywood’s best unproduced screenplays. Set in the late 1880s, the story follows the battle between Edison and Westinghouse to supply electricity, with Edison backing direct current and Westinghouse pushing alternating current. Tesla came to the United States in 1884 and briefly worked with Thomas Edison before the two parted ways. He sold several patent rights, including those to his alternating-current machinery, to George Westinghouse. His 1891 invention, the “Tesla coil,” is still used in radio technology. The Weinstein Company is eyeing an early December shoot for the project. Hoult is no stranger to playing historical characters. 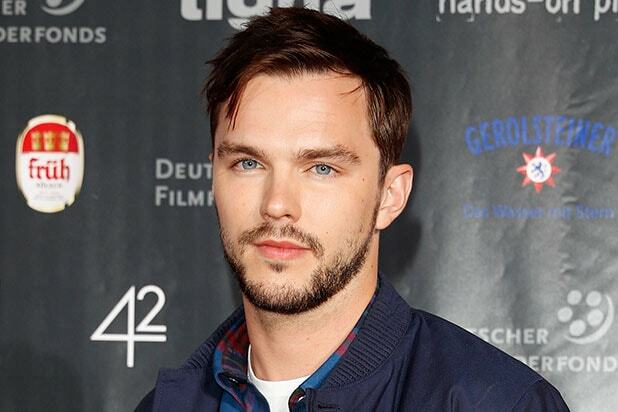 Hoult is playing reclusive author JD Salinger in Danny Strong‘s “Rebel in the Rye,” which is slated for a 2017 release. Hoult is repped by UTA and is managed by 42 in the UK. A representative for the Weinstein Company had no comment. 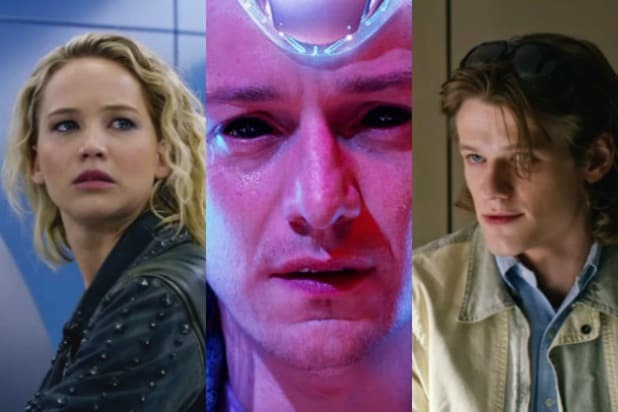 There are so many mutants in "X-Men: Apocalypse." Some good, some bad. Some who actually do things and some who are just sort of there. Some who are cool and some who are really, really not cool. We rank 'em all, with maybe a few jokes thrown in. If you'd rather just know who these people are instead of reading our bad jokes, head on over to our Who's Who In the Enormous Roster of Mutants explainer. Would probably be the coolest character in the movie if she actually does anything besides stand in the background in every scene at Xavier's school. Gets murdered by Angel after about five seconds of screen time. Totally interchangeable with any other C-list mutant. His power in this movie is having attitude that he can't back up. A 40-year-old man played by a 25-year-old actor in a funny wig and dad wardrobe. And he accidentally blows up some things that are, ah, pretty important. None of this is really winning me over, okay? Spends the whole movie moping about getting "friendzoned" by Mystique. It's been 20 years, bro. You're a middle-aged man now -- get over it! He's like the cool rebel teenager who has an overabundance of enthusiasm for shopping malls. Which, it turns out, is totally lame. Just sort of smarmily accepts that no one likes her, which would be awesome if she actually was a cool person or something otherwise. He's the kind of "bad boy" who's really just trying to cultivate a look so that a talent scout will hire him to be a model. Finally gets his comeuppance for decades of spouting the same hippy rhetoric over and over at any mutant who doesn't want to attend his school when all his hair falls out. He's a blue emo nerd who can fight well. That combination is a wash, I guess. It's not really her fault that she was shortchanged by creative decisions that basically stole any character development from her. Oh well, her hair is awesome at least. The Darth Maul of this movie, who mostly stands in the background doing funny comic book poses before whipping out her pink laser sword and a real sword just for good measure. He kills so many people. That's literally the only thing he does in his couple minutes of screen time. It's great. No complaints. This quartet only has one scene -- the prologue in ancient Egypt -- but it's the best scene in the whole damn movie, thanks in large part to their badass defense of Apocalypse against a coup attempt. "X-Men: Ancient Egypt" is a movie I want to watch. Oscar Isaac plays the villain as sorta disinterested, but that has to be a front considering he personally designs each of his Four Horsemen's outfits and also Angel's face tattoo. I couldn't possibly dislike a villain who does that. Still lives in his mom's basement even though he's probably in his 30s, and he's got major daddy issues. But also he provides like 97% of the humor in the incredibly morose "X-Men: Apocalypse," which is a far bigger plus than any garbage character traits he might wanna conjure up. It seemed early like Storm was going to be a core character, but it's all a misdirection. Still, major points for being the coolest looking one. He's the only one in the movie who has a legitimate reason for his constant destructive angst ... so he sort of wins by default.